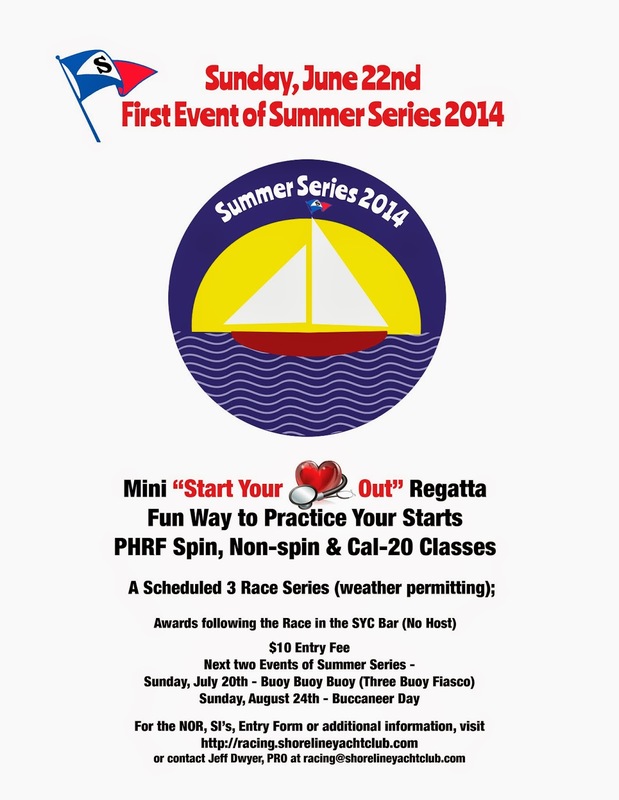 NORs and SI's are up and registration is open for the first of three Summer Series Races. It's a mini "Start Your Heart" out with a minimum of three starts. Open to Spin, Non-Spin and Cal-20 classes.